This is about the closest thing I am going to get to a Thanksgiving turkey this year. And I am totally okay with that! We had friends over for a little Friendsgiving this past weekend and I used it as an excuse to make this Thanksgiving turkey cake. I had seen quite a few similar cakes on Pinterest and Instagram, so I thought I would throw my hat into the ring. I think he turned out rather handsome, if not a little goofy looking. But there is nothing wrong with goofy. To make him, (Yes, I decide that it is a "him" and I named him Tom. Tom the Turkey.) I made one batch of this pumpkin spice cake. I also whipped up a batch of my cream cheese frosting for the filling. Since I wanted his outer layer to be brown, I made a chocolate ganache which I then whipped to form a frosting. Chocolate ganache is actually pretty simple to make. However, I totally understand if you want to run out and grab a can of chocolate frosting or bake your own chocolate buttercream. 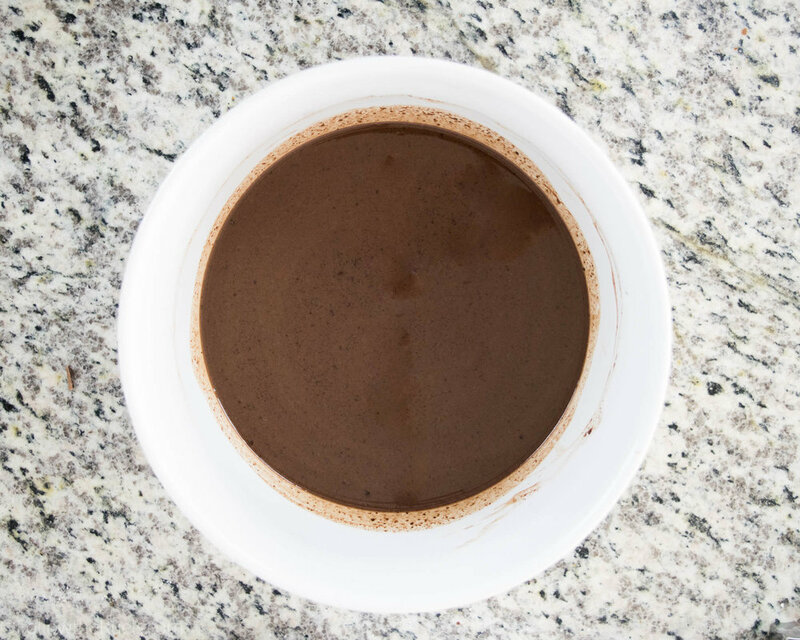 All you do is pour hot cream over chopped chocolate and let it melt. Once it has completely melted, you toss it in the fridge to harden. I recommend doing this overnight as it does take a few hours. When it is nice and set, transfer it to a bowl of a stand mixer and whip it up. Ta-da! I used that whipped chocolate ganache to completely cover my entire cake. Then I stuck in the feathers that I made with my red, orange, and yellow candy melts. Added some eyes using leftover cream cheese frosting. And a beak and a little red thing....anyone know what that's called? 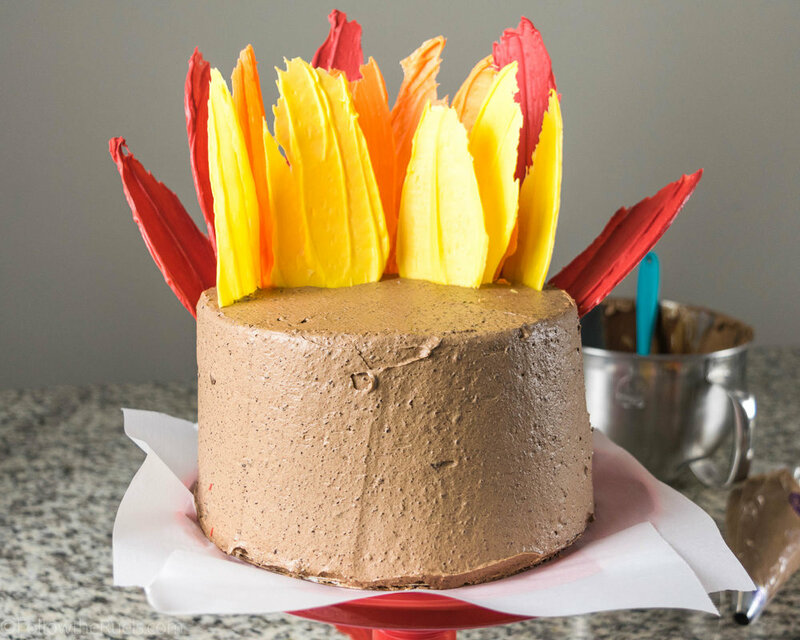 Now you can make your very own Tom the Thanksgiving turkey cake! But you don't have to name your's Tom. You don't have to name it at all. It's kind of weird to name your food.